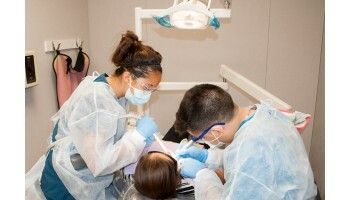 This course provides advanced-level training designed to master skills in Dental Assisting while preparing for the Registered Dental Assistant State Board examination. Upon successful completion of this program, students will be immediately eligible to take the California RDA State Board Exam. Passing the RDA exam will give you the leading edge in the job market. Training includes chair-side assisting for general, as well as, specialty practice, laboratory techniques, infection control, and introduction to computers, coronal polishing, pit/fissure sealant and radiology. If course requirements are met, students will obtain a Dental Radiology Safety Compliance Certificate. Miguel S. has successfully found employment as a Plumber's Helper after completing course(s) in Plumbing.